Thank you for visiting Granger Chevrolet in Orange. We proudly serve Texas customers with the best selection of new and used cars, trucks and SUVs. Whether you are casually browsing or seriously shopping, our Orange Chevrolet dealership can help you find the right car for your needs and budget. Beaumont, Texas, and Lake Charles, Louisiana, Chevrolet drivers can also walk into our dealership to choose among their favorite vehicles. 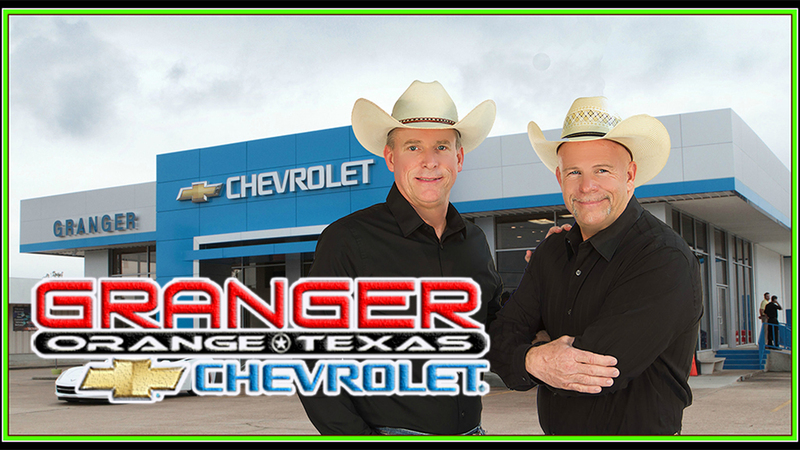 At Granger Chevrolet, we adhere to the highest standard in customer care and quality. Whether you are coming to us to buy a vehicle or for regular maintenance, our friendly sales staff and knowledgeable service technicians will make sure you are in good hands. Lake Charles, Louisiana, Chevrolet shoppers, check us out today!